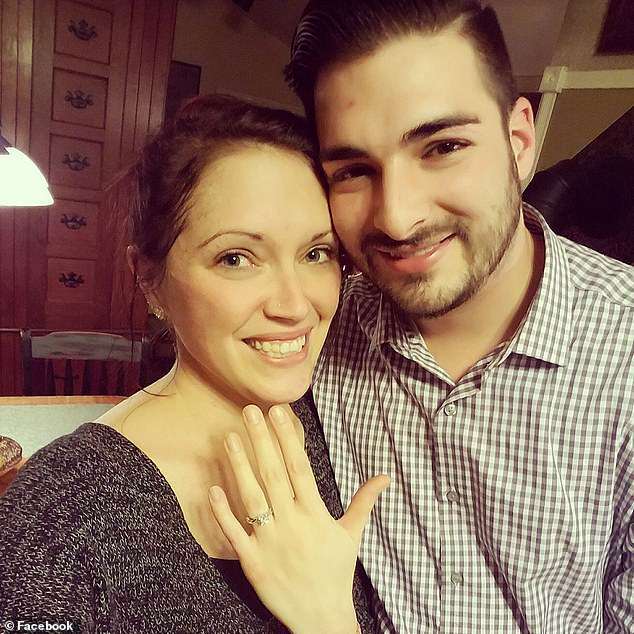 A newlywed couple were among the 20 people who were killed in a horrific wedding limousine crash in upstate New York on Saturday. Family have identified Erin and Shane McGowan, who only just tied the knot in June, as two of the victims. They were guests at the wedding. Two vehicles were involved in the crash, which occurred just before 2pm at the intersection of State Route 30 and State Route 30A. Local officials said the limo was speeding down a hill and crashed into bystanders in front of the popular Apple Barrel County Store in Schoharie. The SUV-style stretch limousine was reportedly carrying guests on the way to the wedding when it collided with the other vehicle. Anthony Vertucci, Erin's father, spoke of the 'darkness and devastation' that had hit his family and shared photos of his daughter's wedding day in a heartbreaking tribute. 'I just wanted all of you to see pictures of Erin and Shane, these two beautiful and amazing people, on the best and happiest days of their lives. Susan Minicki McGowan, Shane's mother, also shared a photo and tribute to her son and daughter-in-law. 'Our family will never the same after the tragic deaths of our son Shane and daughter Erin,' she wrote. Eighteen of the victims were in the limo and two were bystanders, according to the Associated Press. Bridey Finnegan, who lived near the crash site, said she heard a 'loud bang' when the two vehicles collided in front of Apple Barrel, a store popular with tourists. 'I heard a loud bang, I came out my front door to see what was going on,' she told WTEN. Finnegan said she watched as first responders broke windows to try and rescue people inside. And witnesses said several bodies could be seen on the ground outside the store. 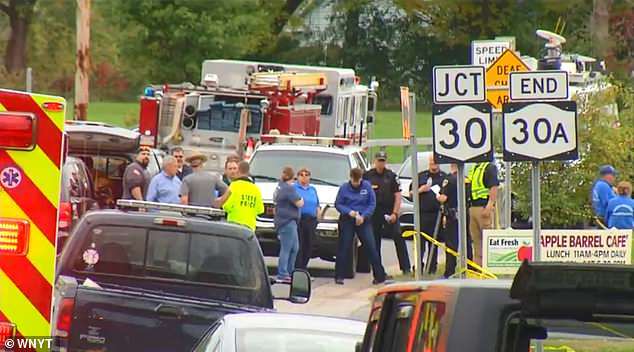 The Schoharie County Sheriff's Office, New York State Police, and emergency crews from the Red Cross all responded to the scene. Six ambulances, three fire companies, and two helicopters were at the accident site, according to the Albany Times Union. Witnesses also saw people running out of the Apple Barrel cafe to try and help after the accident. New York Gov Andrew Cuomo released a statement on Sunday afternoon, saying his 'heart breaks for the 20 people who lost their lives in this horrific accident'. 'As you may be aware, there was a horrific accident in front of our business today,' the statement read. The National Transportation Safety Board is sending a 'go-team' to the crash site from Washington DC, which are used to investigate major accidents. Alan Tavenner, the Schoharie Town Supervisor, said the state's Department of Transportation tried to make the intersection safer seven years ago, but that the changes did little to help. 'There have been tractor trailers that have come barreling down that hill and it was a miracle they didn't kill somebody,' he said. The crash occurred during the city's 'Old Stone Fort' weekend, which residents said is the biggest tourism day of the year for the small town.